Interview in V&S NEWS magazine about CAB Label. >> Download the article in pdf here. 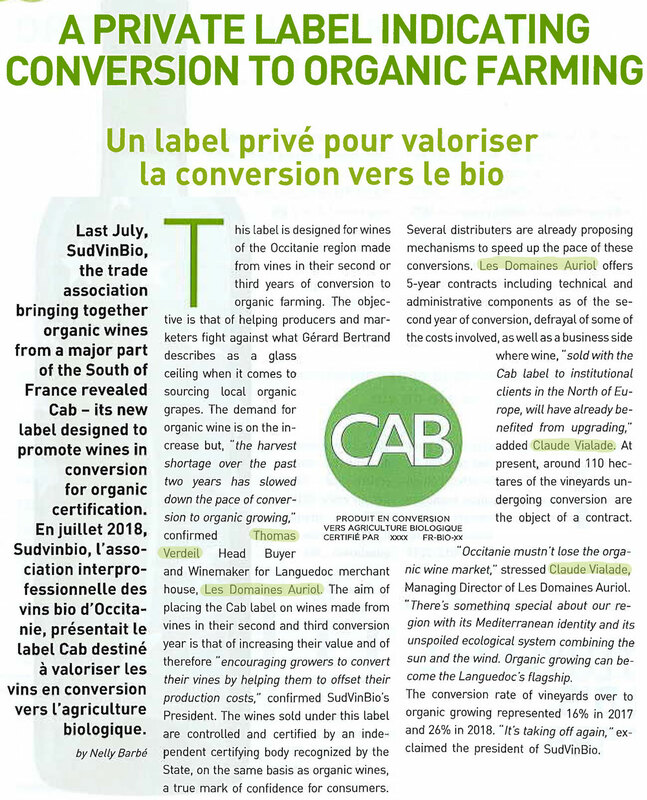 About creating organic and biodynamic vocations, Domaines Auriol promotes the new ‘CAB’ label (conversion to organic farming), registered by SudVinbio, which identifies wines in the second and third year of conversion. 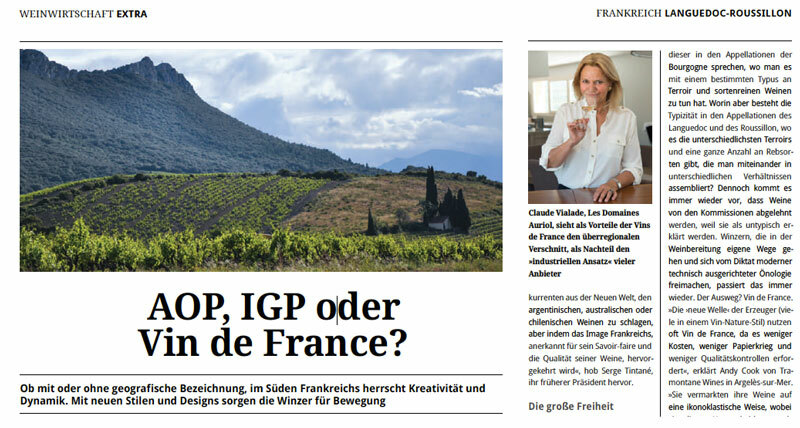 Claude Vialade has developed a pitch for trade distributors: “By buying these wines, they are guaranteeing a contract and sourcing for years to come”. She also has a selling point for consumers: “By buying this wine, they help winegrowers convert to organic”. 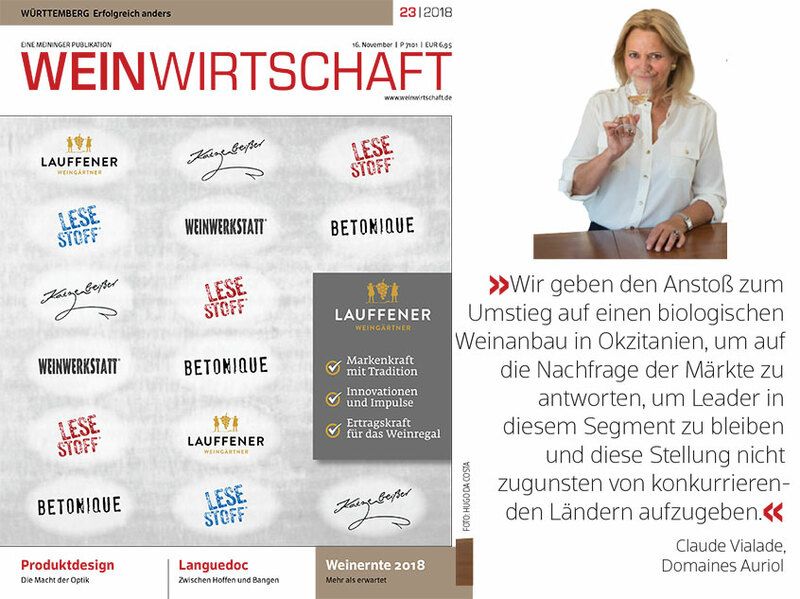 So great to be in WEINWIRTSCHAFT magazine. 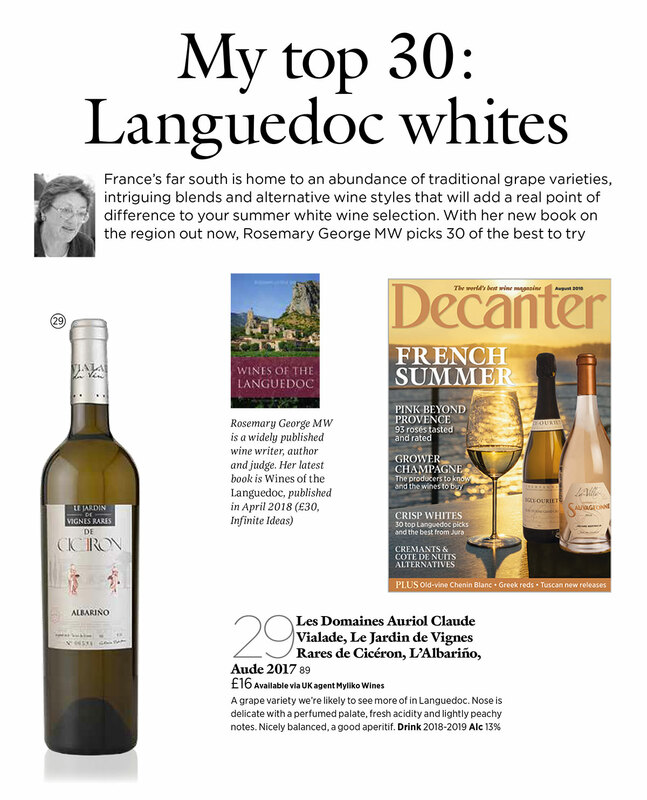 Article about our Languedoc region and a short interview of Claude Vialade. 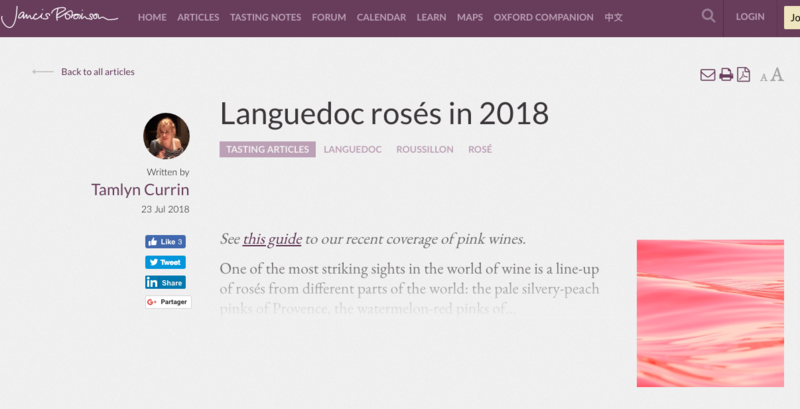 For the last six years, Sud de France, the organisation that champions food, wine and tourism in Languedoc and Roussillon, has held a Top 100 wine competition to find the best wines of the two regions. Tamlyn Currin, from Jancis Robinson Team, took part in the judging of 634 wines from 210 producers. The tasting was blind and chaired by Tim Atkin MW. Very pale coral pink. Light raspberry and lemon nose. Medium but fine acidity. Crisp redberried fruit with lemon framework. Simple and short but fresh. Turns slightly sour on finish. Medium-pale coral pink. Lovely satsuma and raspberry nose going into a creamy, fruit-rounded palate with a brisk framework of lemon-sharp acidity. Every edge on this wine is snipped clean, in pleasurable contrast with the indulgent curves of the mid palate. Aperitif or table wine, this one will tick all the boxes. Very pale silvery pink. Heady rosé-petal perfume. Ripe cherry fruit, almost kirsch-like! Biting acidity, but there is enough sweetness of fruit to keep it in line. Long, tangy, coming down to a sharply bitter Seville-orange finish. Not what you’d expect from such a pale-looking wine. 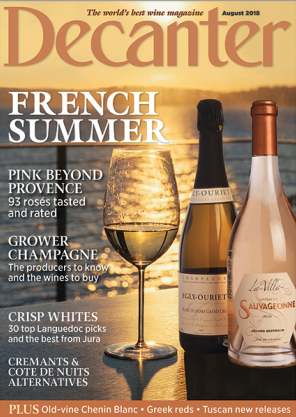 In the August edition of Decanter Magazine, a great article about French rosé beyond Provence – 92 wines tasted: Find perfect pinks for summer drinking with a wide selection of bottles from across France. 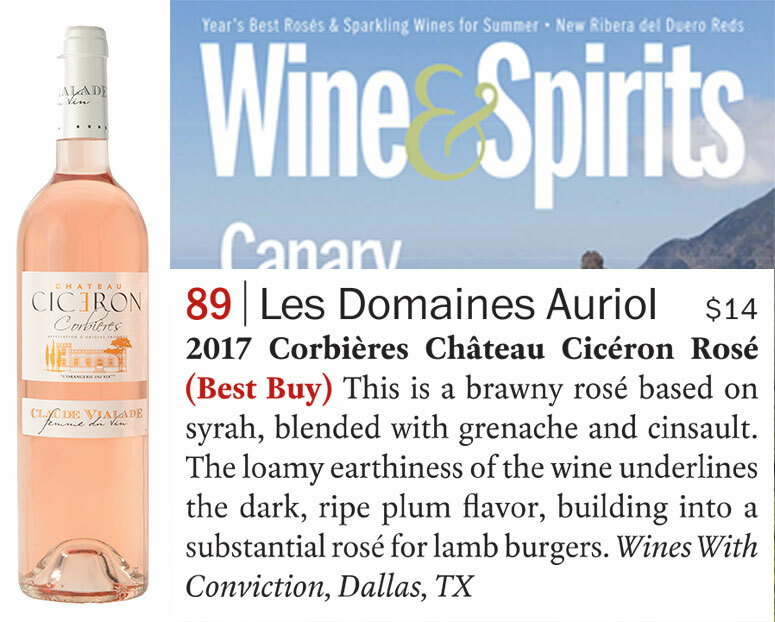 "Our Château Cicéron Rosé Corbières 2017 is recommended with 86 pts and this tasting note : "Restrained nose of perfumed raspberry fruit. Palate has a soft texture, bright currant-style fruits and an attractive crisp acidity. Easy and charming." "France’s far south is home to an abundance of traditional grape varieties, intriguing blends and alternative wine styles that will add a real point of difference to your summer white wine selection. With her new book on the region out now, Rosemary George MW picks 30 of the best to try"
Our Château Cicéron rosé 2017 is part of the selection of the 100 best rosés of the year in the latest issue of the magazine US Wine & Spirits. Well-made, pleasurable and true to its region or variety. Pale and lavender scented, this has body and breadth to its berry flavors, as well as a crisp, crunchy acidity that keeps it refreshing. A blend based on cinsault, with syrah, grenache and mourvedre, this come from Claude Vialade's family estate, 106 acres stretching across the higher elevations of the Orbieu valley.